Girl Scouts and Netflix Are Joining Forces in a Big Way! 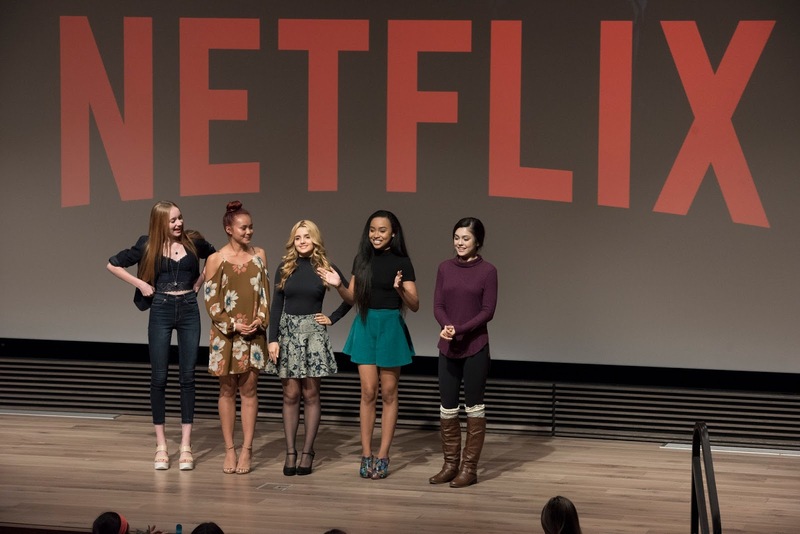 The cast of Project Mc² greets Girl Scouts at Netflix HQ. From left to right: Belle Shouse (Ember), Ysa Penarejo (Camryn), Victoria Vida (Adrienne), Genneya Walton (Bryden), and Mika Abdalla (McKeyla). 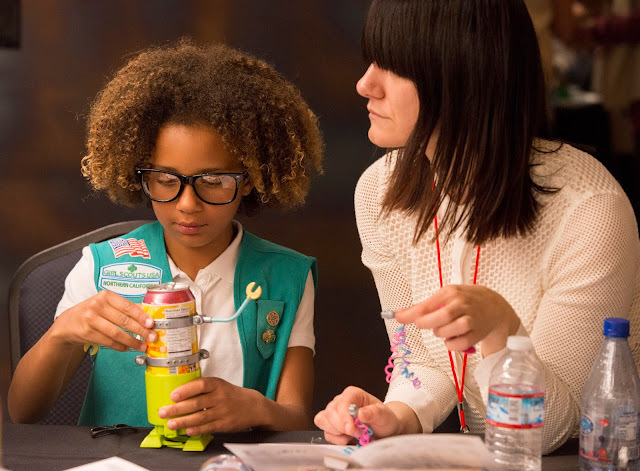 Girl Scouts of the USA (GSUSA) and Netflix are joining forces to empower young girls to envision their futures in STEM (science, technology, engineering, and math) fields. Centered on Project Mc², a Netflix original series from MGA Entertainment Inc., the collaboration takes STEM beyond the small screen with hands-on experiences for Girl Scout troops and the debut of a STEM Superstars Guide (PDF), an online resource that encourages Girl Scouts across the country to discover just how exciting, fun, and rewarding STEM can be. Girl Scouts Interim CEO Sylvia Acevedo and actress Bella Shouse talk to Girl Scouts about STEM. This week we kicked off our new collaboration in a BIG way! 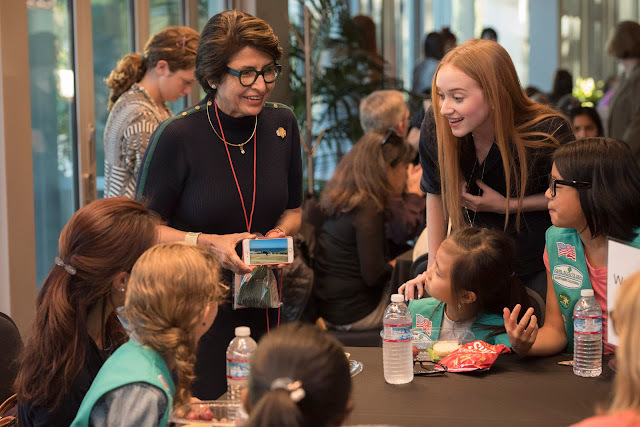 Girl Scout troops from Silicon Valley, representing Girl Scouts of Northern California, were invited to Netflix headquarters to hear from real-world STEM experts (including reps from Google, Instagram, Intel, and Twitter!) and learn how their pursuits in STEM fields led to unexpected and rewarding careers. The Girl Scouts also got a sneak peek of season three of Project Mc², talked with the cast, and put their own STEM skills to the test through two hands-on experiments inspired by the show (season 1, episode 2). Specifically, the girls were challenged to create their own volcanic eruption using household items, and to build a robot out of a soda can! Girl Scouts try their hands at the Soda Can Robot experiment by Project Mc². Despite initial interest in STEM fields, nearly 50 percent of girls feel that STEM isn’t a typical career path for them—and their interest fades as they move through middle and high school. Showing girls how STEM subjects are woven throughout their everyday lives and introducing them to STEM enthusiasts like the cast of Project Mc², Girl Scouts’ new Helping Girls Become STEM Superstars guide provides Girl Scout volunteers nationwide with the tools they need to keep girls’ passion and curiosity for STEM subjects alive. And our guide offers something for everyone with girls in their lives, showing just how easy it is to make STEM matter for girls—through conversation starters, troop activities, and examples of STEM role models. Check it out!